PHOTO COURTESY BRITISH COLUMBIA CENTRE FOR EXCELLENCE IN HIV/AIDS: After a spirited debate on July 14, city council voted 36 to 3 to establish three Supervised Injection Sites throughout the city. According to research from the British Columbia Centre for Excellence in HIV/AIDS, supervised injection facilities can reduce public drug use and overdose deaths, as well as increase access to addiction treatment. People who use safe injection sites are 30 per cent more likely to enter detox programs and 70 per cent less likely to share needles. 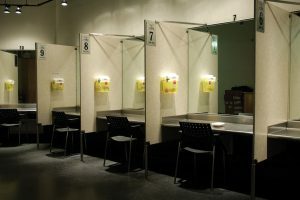 Spurred on by a recent spike in drug overdose deaths, Toronto City Council voted 36 to 3 on July 14 to establish three Supervised Injection Sites (SIS) throughout the city. Typically run through public health clinics, such sites provide a space for clients to self-administer drugs — which they supply themselves — in a safe environment under the direct supervision of a nurse. It’s a harm reduction strategy that discourages using drugs in public areas, particularly in back alleys and bathrooms. The sites will be established at locations that currently provide needle exchanges as well as a wide array of health and counselling services: Queen West Central Community Health Centre (on Bathurst Street just south of Queen Street West), the Works (near Victoria and Dundas streets), and the South Riverdale Community Health Centre (at Queen Street and Carlaw Avenue). The city will still need permission from the federal government to set up the locations. Launching the lengthy council debate, health board chair Joe Mihevc (Ward 21, St. Paul’s West) described the plan as “a paradigm shift around how we deal with addictions, from a model of criminalization and ostracization to a compassionate public health care approach”. However, Giorgio Mammoliti (Ward 7, York West) — who proposed an amendment that failed to pass requiring injection sites to operate exclusively out of hospitals and pharmacies — questioned why the city was facilitating the injection of illegal substances, instead of focusing solely on treatment, such as providing methadone programs for heroin addicts. The city’s Chief Medical Officer of Health, David McKeown, explained that there are already 10 or so methadone clinics in this city, and that this proposal targets different aspects of addiction: unsafe injections in public spaces, the transmission of diseases like HIV and Hepatitis C through the use of dirty needles, the discarding of used needles, and the increasing risk of users overdosing. He added that 70 per cent of the clean needles the city distributes are within 10 blocks of these proposed locations. Other speakers questioned the $1.7 million annual expense. McKeown was optimistic that the province would cover 100 per cent of the expense as it is considered health care, a provincial jurisdiction. Mike Layton (Ward 19, Trinity-Spadina) chronicled the “very fulsome dialogue” the city held with the communities in which the injection sites will be located. He was pleased with the extent to which stakeholders embraced “a compassionate approach to people not property”. Letters were received from the Downtown Yonge Business Improvement Area (BIA) and the Toronto Police Service (TPS). The BIA chair, Paul Seaman, supported the city’s efforts in “finding a harm reduction solution for at-risk individuals”, but urged that “specific metrics” be put in place to gauge the impact the operations will have around the site locations. Although Major John Tory admitted to having some initial discomfort with the idea, he explained that he came to support it after seeing a parallel between addiction and autism. He has fought personally to ensure that those who suffer from autism — a disease of the mind, like addiction — are not treated as second-class citizens, and he said that he now thinks drug addicts deserve the same protection. “This is the right thing to do, it’s the moral thing to do, [and] it will save lives,” concluded Tory. Joe Cressy (Ward 20, Trinity-Spadina), chair of the Toronto Drug Strategy Implementation Panel, stickhandled the file for the last 18 months and had the last word. He described the proposal as “one part of a comprehensive approach to drug use that includes treatment, prevention, harm reduction, and yes, enforcement,” and added that he did not expect so many local residents and business-owners to come out and say “yes, in my backyard”.